Parts serialization used to be confined to "rotating spares." This practice involved repairing or servicing high-value parts for reuse when they wore out rather than discarding and replacing them. However, in today's industrial environments, parts serialization is taking on new roles. Serialized parts can be used to track components subject to compliance mandates, items that present life-safety hazards if they are defective and subject to recall, delicate subcomponents that previously wouldn't have been tracked separately from the complete component to which they belong, and more. Despite the obvious need and benefit of effectively tracking the life cycles of parts like these, many organizations and their teams struggle to accomplish this goal. Company personnel from corporate decision-makers to plant workers may recognize the benefit of managing these important parts more effectively, but the organization often lacks the appropriate underlying structure and advanced technology to support such an effort. 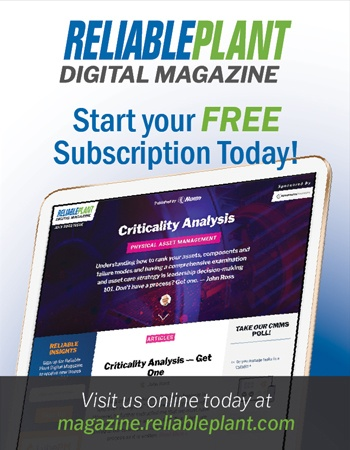 By developing and implementing robust life-cycle management and maintenance systems for serialized parts and using asset management solutions to track, analyze and report on activities, stakeholders can gain the information they need to extend the lives of their parts and boost the bottom line. Following are some tips for implementing best practices for serialized parts management. As mentioned previously, managing the life cycle of serialized parts requires access to a robust technology framework. Handwritten records or even basic inventory management software are completely inappropriate for this task. Enterprise resource planning (ERP) systems may have the ability to perform serialized parts tracking, but they generally lack the depth of visibility and control provided by an enterprise asset management/computerized maintenance management system (EAM/CMMS). Although some companies muddle through with basic solutions, the deficiencies almost always result in compliance issues and potentially financial liability. Parts serialization with intensive management is becoming increasingly valuable for a wide range of purposes, and more manufacturers are serializing non-consumable parts with serial numbers. However, this doesn't mean plants must restrict serialization to only those parts with manufacturer-applied serial numbers. Nearly any part for which tracking would be beneficial can now be serialized. Historically, common methods have been etching and plate application. Today, digital tagging methods such as radio frequency identification (RFID) tags may also be used. RFID systems can be simple and merely identify a part or provide and store location-based information, capture and store wear and use data, and more. Since having a separate RFID parts management solution isn't practical, RFID tags should be incorporated into an overall parts management plan. All serialized parts must be manageable through a central program and interface for robust life-cycle management to work. EAM/CMMS solutions offer more comprehensive maintenance management and recordkeeping, which promotes greater part longevity and is generally required to achieve regulatory compliance. Serialization makes it much easier to monitor and manage maintenance activities and histories, and better solutions support enhanced features such as integration with mobile devices for maintenance activity reporting. The ability to automate scheduling, including resource-based schedule management, ensures work is performed as required. 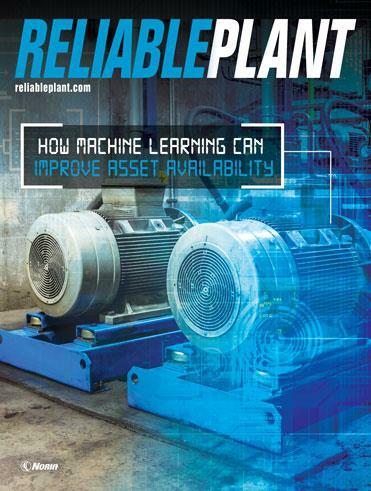 In addition, plants gain better control over repair work through their ability to record and analyze repair incidents and intervals. Historical analyses of service and repair records can also help the organization track how specific parts perform in relation to expectations. Although tracking all serialized parts adds value within the organization, it is essential with rotating spares. These spares often have defined lifespans that may be dictated by regulatory mandates. To ensure operating efficiency, the enterprise needs to track both rotating spaces and the equipment into which they are installed. Such an effort is nearly impossible to accomplish without advanced technology. With a higher-end EAMS/CMMS solution, technicians can track not only where a component is installed but also how and in what sequence it rotates in relation to the machinery, as well as the other parts it replaces as they move through the life cycle. Facilitating decision-making when a part's serial number is in a location that cannot be confirmed without dismantling equipment. In such a case, the equipment need only be dismantled to remove and replace the part at the properly scheduled interval. Enabling the capture and tracking of valuable (or required) information, such as who reported and/or confirmed the problem, when and how the problem occurred, how much downtime it caused, the cost and time to fix the problem, and both the repair approver and the interim plan during repair. Tracking items at the item level rather than the batch level and reducing the scope of recall events if a problem or failure occurs. Reducing the incidence of part inventory loss/theft. Ensuring parts are genuine and not counterfeited or misrepresented when serial numbers come from the manufacturer. Expediting the capture and analysis of trending data to pinpoint parts with higher than expected failure rates. Supporting staggered scheduling for servicing (or ganged servicing for parts in a single location) to maximize resource allocations. Enabling automated prioritization of criticality for repair scheduling should multiple parts need servicing in disparate areas simultaneously. As any plant or materials manager recognizes, disorganized parts handling and management increases expenses and reduces the visibility required for efficient parts ordering, storage, movement and usage. Adopting a serialized parts management system expands the possibilities for controlling a wide variety of parts throughout their useful lives. Once serialized parts are defined at the appropriate inventory unit level and this data is set up in the EAM/CMMS platform, the organization can enjoy greater tracking ability and gain the information necessary for constructive life-cycle analysis and reporting. Mike Edwards is the founder of AssetOptics, a privately held company with deep domain expertise in enterprise asset management. For more information, visit www.assetoptics.com.